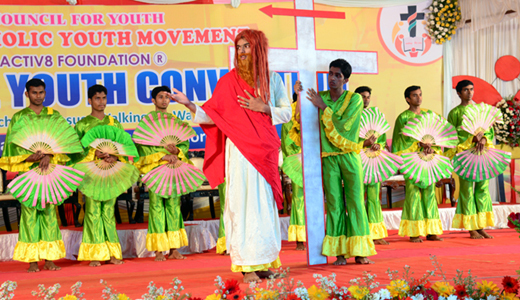 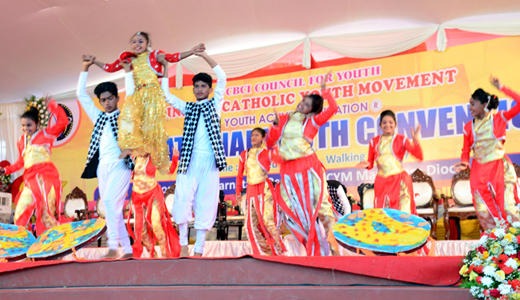 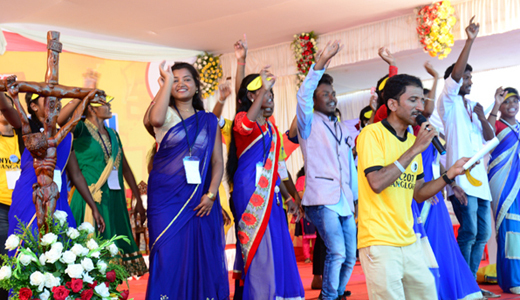 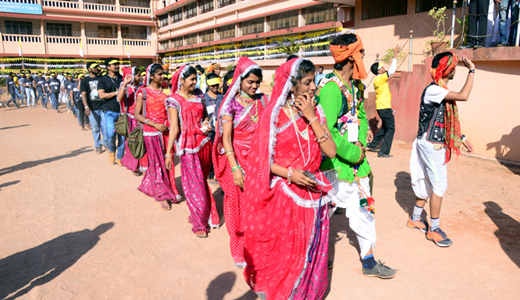 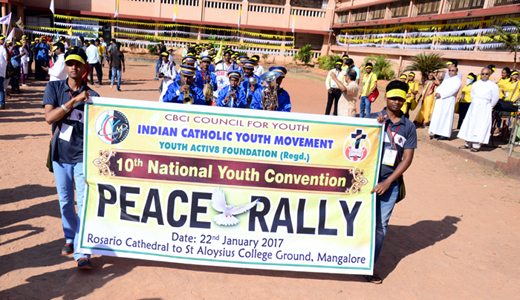 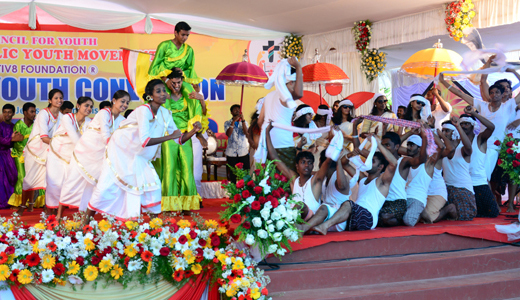 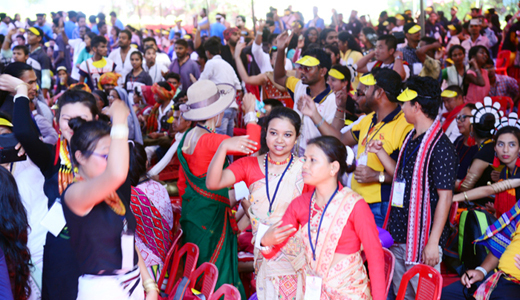 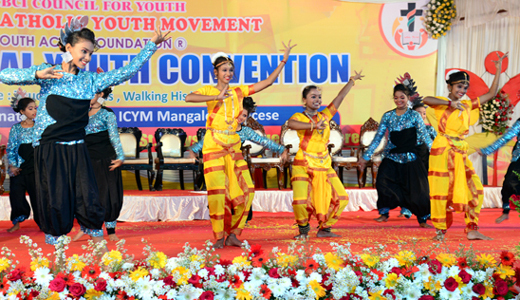 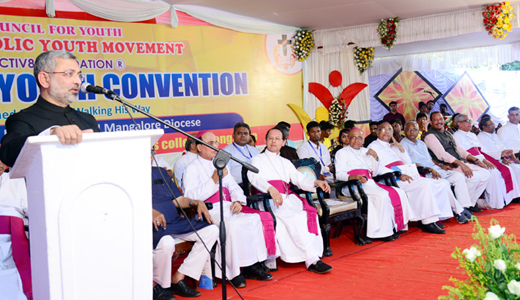 Mangaluru, Jan 22, 2017: A peace rally was organised from Rosario Cathedral to the St. Aloysius College grounds on January 22, Sunday to mark the conclusion of the ICYM 10th National Youth Convention which had commenced at the St Joseph’s Engineering College at Vamanjoor on January 18. 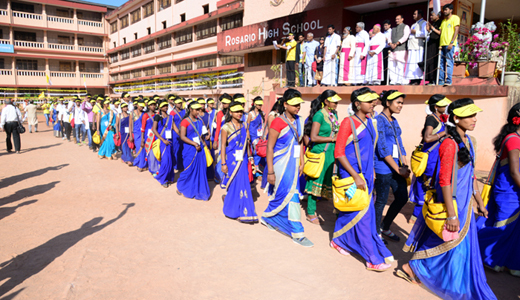 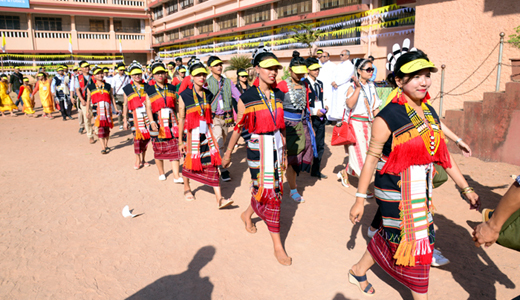 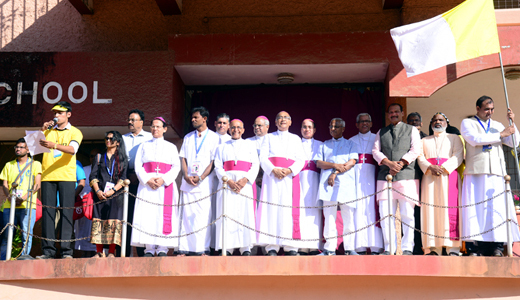 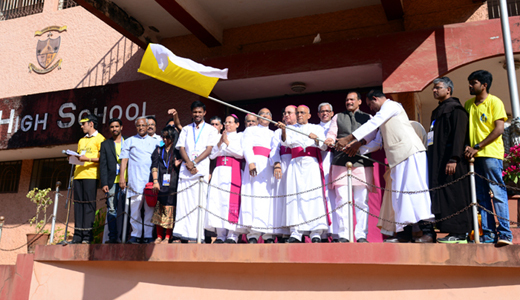 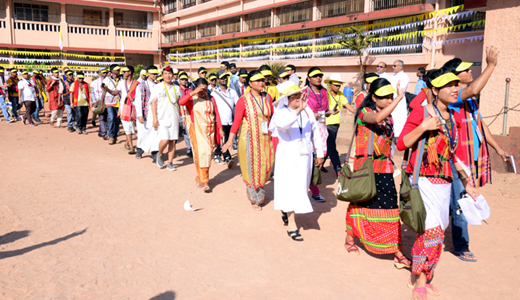 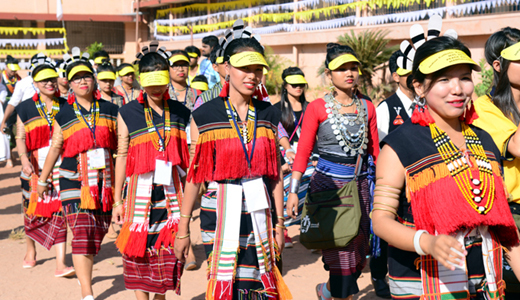 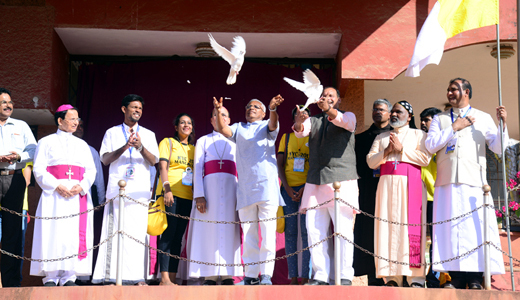 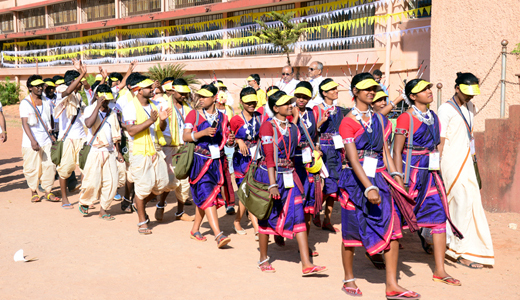 The peace rally which was participated by hundreds of youth was flagged off by Bengaluru Archbishop Dr Bernard Moras. 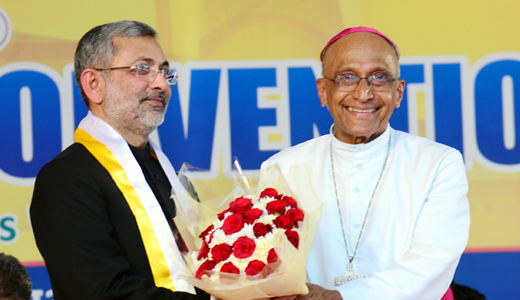 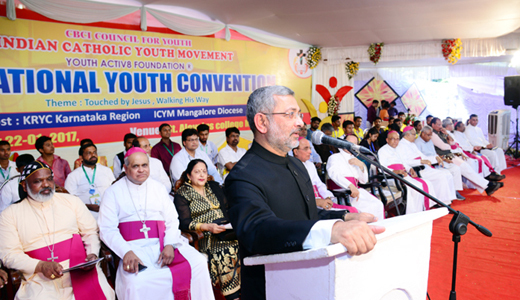 Speaking at a ceremony held at the St Aloysius College, upon culmination of the rally, Supreme Court Judge Justice Kurian Joseph stressed the need to end discrimination on the basis of caste, creed and religion. 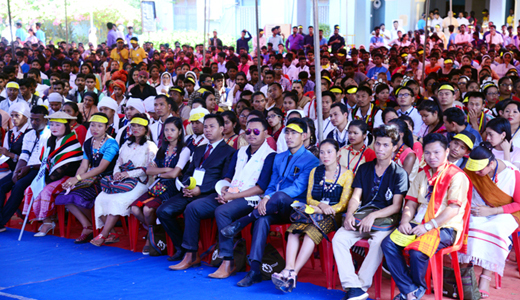 Delivering a talk on "Constitutional Rights and Duties - Youth Responsibility" he exhorted youth to actively engage themselves in nation building activities. 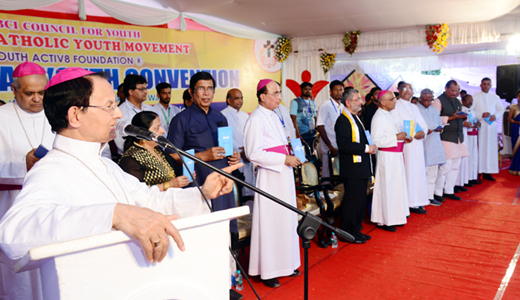 A nation can prosper and develop only when there is peace, he said. 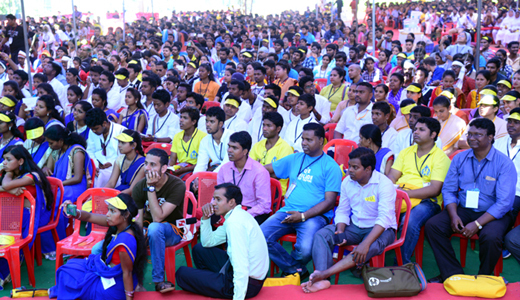 He also urged the youth to strive to bring about a positive change through consistent efforts. 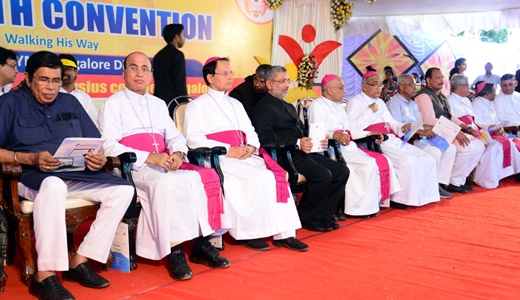 Archbishop of Bengaluru Dr Bernard Moras, Bishop of Ballari Diocese Dr Henry D’Souza, Bishop of Mangaluru Dr Aloysius Paul D’Souza, Chief Whip of Legislative Council Ivan D’Souza, MLA J R Lobo, member of Rajya Sabha Oscar Fernandes and others were present.